Its almost our birthday! Or maybe anniversary? Lets settle on bloganniversary! We will soon be two years old. So to celebrate we thought we would do a few posts about what goes on ‘behind the scenes’, to give our readers a look at how we run the blog. 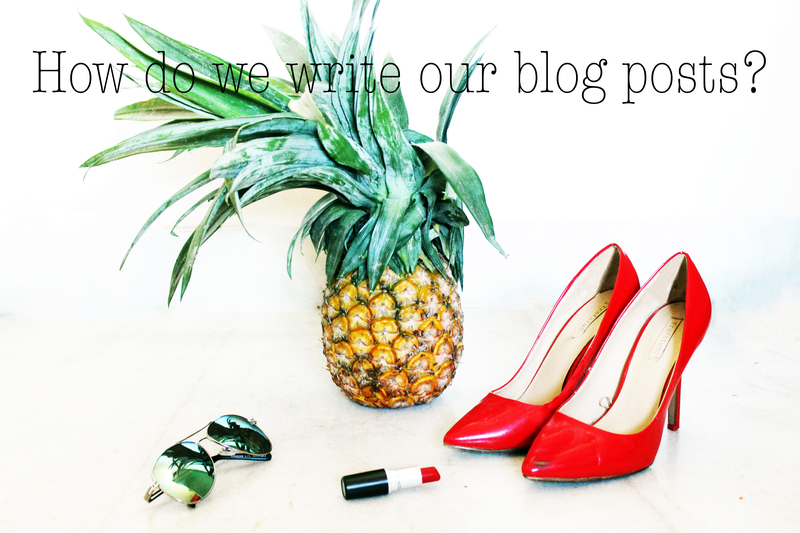 First up is a look at how we come up with and write our blog posts. Do we have a schedule? No we don’t have a set schedule. Since there are three of us we each try to do one post a week. So theres a new post every two days or so. When we first started the blog, we aimed at one post a week and gradually increased our frequency to around 3 a week. 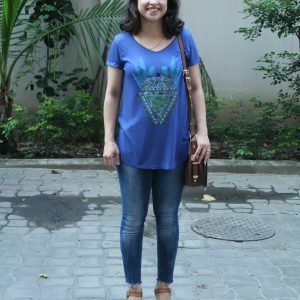 We all do the outfit posts, but we also each try to write about things that we love. So I end up writing all the posts about makeup, baking and my secret life as a cat lady. 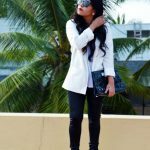 Anisha writes a lot of fashion and shopping related posts, and also all the research she does to find great pieces. Bidishas probably the only one among us who’s day job revolves completely around fashion. Hence she’s our go to expert on Men’s Fashion. She’s also probably the busiest and is always traveling to the coolest places for work. So she writes a lot of our travel posts and she writes them almost always completely from her phone! Which I honestly think is a super power. How do we come up with the ideas? We’re constantly chatting and talking to each other, so whenever we think of an idea we talk about it on our group chat and decide when and who will be writing it. The photos are what take the most amount of planning. Some posts we need a fair amount of research, while others we can write and upload within a couple of days. Sometimes we have a idea for a post but it doesn’t work out. Like the one time when Anisha convinced me to write about summer 2015 runway trends, and I think I ended up writing about 2014 trends somehow. 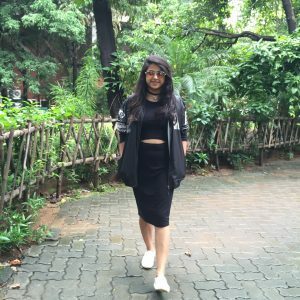 Which in turn gave her the idea to write a post about the workings of Fashion Week! Its kinda like picking a favorite child. Well actually if I had to pick a favorite child I would probably pick my cats 😀 I would say that the Take 3 ones I enjoy the most, and also the How to Be A Cat Lady post has been the most fun to write so far! Both Anisha and Bidisha will also be doing writing a ‘behind the scenes’ post and they’ll share their favorites then. I hope you enjoyed this little peek into the inner workings of Fashion and Frappes. I would love to know what your favorite post has been on our blog so far. We have some exciting things planned for our blogiversary. More details on that coming very soon, so stay tuned for that! Thank you so much for reading and supporting our blog, we really appreciate it 🙂 We would love it if you shared this post or passed it along to a friend who might enjoy it too! Wow 2 years!!! I can’t believe that I have been following you for so long!! Thanks Krupa! We are still a baby blog compared to you though! Hehe! You guys have a great blog…keep going at it!! Lovely post! Interesting to read how other bloggers work and prepare posts! Thank you! Yeah – even I am always curious to see how other bloggers work. I think since there is 3 of us here its a little different for us! This is a fun post, I always like to know how others manage their blogs.